The following are several publications that I have authored, co-authored, or to which I have contributed that might prove helpful to your studies. 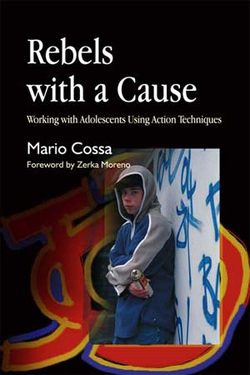 Rebels with a Cause is a comprehensive guide to working with adolescents using action techniques and dramatherapy. Drawing on years of experience working with adolescents and of training practitioners in the field, Cossa provides a tried-and-tested model for working with adolescents in groups. Utilizing techniques found in psychodrama, sociodrama, dramatherapy and sociometry, Cossa offers step-by-step practical guidelines on running a group development programme and summarizes the supporting theory in easy-to-understand language. He offers advice on facilitating group and personal development, and also on working with particular groups of adolescents, for example those with developmental disabilities or from different cultures. This illuminating and accessible book provides invaluable insight into working successfully – and enjoyably – with adolescent groups. It is essential reading for practicing therapists and anyone working with adolescents in therapeutic settings. Inspired by the writings of J.L. Moreno, the contributors to this volume present a wide range of clinical and educational applications of psychodrama with various client groups, problems and settings. Part One explores the integration of psychodrama and sociometry with other therapy methods including structural family therapy, art therapy, and group therapy. Part Two describes innovative applications of action methods to different groups, such as trauma survivors, and the lesbian, gay, Bi-sexual and Transgender (LGBT) community. Applications of psychodrama in education, training and consultation with such diverse professionals as lawyers, physicians and psychiatrists concludes this comprehensive text. 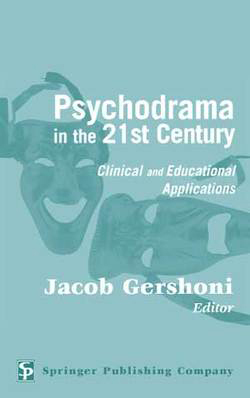 Here in this well crafted and thoughtful book are contributions from Psychodrama Practitioners who are applying theory, which J.L. Moreno conceived, in so many places and arenas that I am sure he would be most pleased with how his ideas have taken root and grown. At a time when expectations and assumptions about the delivery of services to children and adolescents are being reconfigured – for example, around the rights of children and adolescents as young citizens – adults are seeking to ensure that they deliver services in creative and empowering ways, ensuring that the opinions of young people are actively solicited and encouraged. 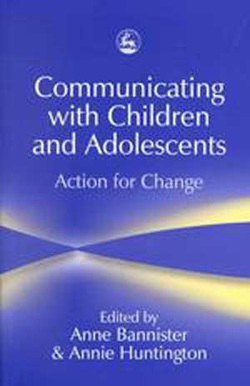 Action methods – communication methods using the body as well as speech – provide non-threatening ways of communicating which can be understood by children of all ages and from many cultures. 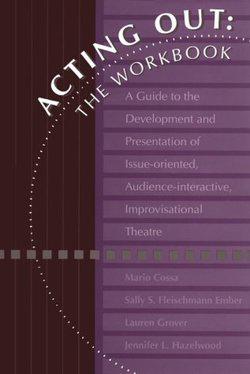 This handbook offers a compilation of background information, techniques and scenarios based on the Acting Out programme that offers theatre skills/counselling for groups of adolescents, free of charge. AO teens become performers, creating issues-oriented, audience-interactive, improvizational scenes with a variety of audiences. ; Written for leaders who are familiar with improvizational theatre and working with groups, Part 1 discusses the importance of leader training, experience and intention. Psychodrama, sociodrama and theatre scenework are explained in some detail, with references offered for those who wish to learn more about these areas before proceeding. Information about group selection criteria, procedures and techniques for using the scenarios complete this section. ; Part Two offers a set of eight topics each with its own list of scenarios. Each scenario begins with information about characters, settings and situations, and offerrs acting notes as well as age- appropriaeteness. A list of resources appears at the beginning of each thematic set of scenarios.